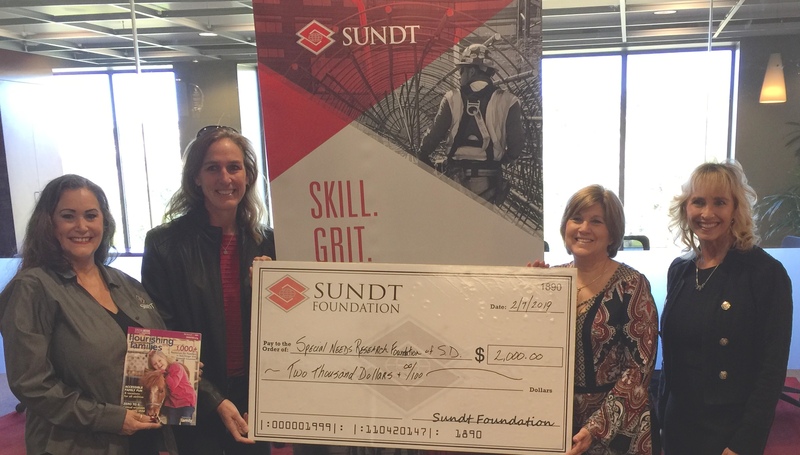 We want to thank Sundt Construction for supporting the Special Needs Resource Foundation of San Diego and our Flourishing Families publication by awarding us a $2,000 grant. Sundt has a long tradition of helping the communities where its employees live and work. It is well known for supporting charities that provide services to disadvantaged people, including homeless shelters, food banks, etc. Sundt receives most of its funding through employee contributions, which are matched by the company. Thanks again to this community oriented company. We could not continue to publish Flourishing Families – the parent resource guide for children with special needs without help from companies like Sundt!